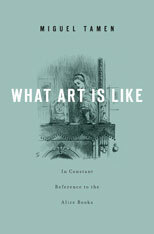 What Art Is Like is a comic, serious inquiry into the nature of art. 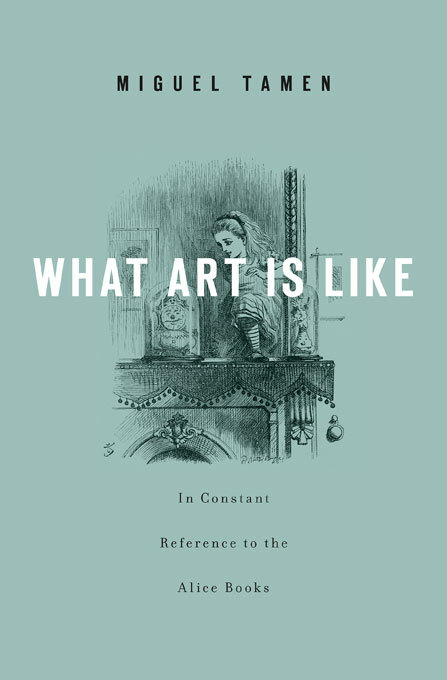 It provides welcome relief from prevailing modes of explaining art that involve definitions, philosophical claims, and critical judgments put forth by third parties. Scrapping all such chatter, Miguel Tamen’s aphoristic lark with aesthetic questions proceeds by taking its technical vocabulary only from Lewis Carroll’s Alice’s Adventures in Wonderland and Through the Looking-Glass. Tamen takes up many central issues in aesthetics and the philosophy of art, including the connection between art and having fuzzy ideas about art, the mistake of imagining that art-decisions are put forth by art-courts where you are both judge and jury, and the notion that what happens with art also happens to you.